The Historic Madison square speech of PM Narendra Modi .. Yes I feel the energy roaming around the venue, the reason sharing this video . The theme of this post is consequent to stare a comment on the previous article. I am besieged by reading that comment, because if our youngsters grasp this message in it’s real depth, it will be a great defining moment in their life. I am talking about the greatest and simplest business in the world you can start with your small savings….Investment in equities. A bit on my intention; a good part of my friend circle is youngsters; some of them are even 10-15 years younger than me and are from a variety of fields/status. There are students, working guys, executives, well educated but unemployed etc. etc, I always encourage them to have a Demat account irrespective of their job, family background, income sources or financial status. Few of them are convinced and on the track of investing even with small amounts. Here too, I wish to use this platform for the same purpose. Jump in to this business if you have dreams to fulfill. No need to spare heavy sum to invoke this business and you can start this at any point of time. We have already discussed the importance of investing in Indian scenario in various occasions. As a foreword, I would like to place one of my most preferred quotes by the investor giant Warren Buffett. Yes, I think this may be one of the most precious speech marks by the investor legend, but less discussed. By agreeing 100% with him, I wish to motivate our youngsters to kick off the said fabulous business opportunity as earliest. Investing in equities is a really profitable business if you do with utmost prudence. You are eligible in all respect to start this business, whether you are working for daily wages, student, executive, housewife, retired/to be retired person or whoever crossed the age of 18. No one will ask your academic backgrounds. You can start this business without any large capital funding. I wish to underline this point that any one of you can be a BUSINESSMAN without considering your financial status. I wish to analyze the above quote in accordance with my stance. As Buffet said, you never have to move back and forth to manage this business. You will be totally free while doing this alluring business. You can manage all of your other activities with out any disruption from this side. The business is fully automated from the very first day you started it. Don’t get puzzled to arrange big premises, electric/water connections, hi-tech machinery or other facilities to launch this business. No TIN required, but a PAN only. No employees or highly paid managers required to watch over your business. All of these amenities have already been established on behalf of you and you are a virtual kind of boss. No need to calculate your daily profit and lose statements. Will avail you ready made by the people you assigned. You are doing a business of businesses. You are not holding a single business rather participating in diverse of businesses. World class professionals are working hard for you round the clock. You can have stake in businesses of the richest Indians like Ambanis, Tata, Birla or MNCs or with high caliber young businessmen etc.. They are liable to preserve your money than you with extreme caution for the purpose of their own survival. They must be in constant efforts to make the maximum gains for themselves where you are one of the partners. In addition, you can participate in the so called Indian growth story by having stake in the Govt owned companies. Highly experienced Govt servants will toil for you. What else you need to accomplish your dreams? Never compare the equity investment with any other category of investments like buying bullion or putting your money in fixed deposits etc. Rather, you have to feel or experience the pleasing business ownership ecstasy while holding shares of reputed conglomerates. You have to feel proud on holding 10 shares of a prosperous company than having 10 grams of gold as an investment, irrespective of its current value. You have to feel the contentment by seeing your own company’s products/services doing well in the bazaar. The only required thing is a bit caution in selecting companies and the time you entered in the stock. The initial capital is none an issue as you can start even with Rs. 1000. You can buy few numbers of good stocks even for Rs.100. Is it impossible to spare such a small sum from your day-to-day expenditures? Here, I wish to have support of one more precious quote in this line of Mr. Charles A Jaffe. It's not your salary that makes you rich; it's your spending habits. Let me put in plain words, a person who have an average daily income of Rs.500/- and an outflow of Rs.600/- will make things knotty and he will be in great trouble on the road. But if he successful to manage with in Rs.300 or 400/-, that makes big difference. The arithmetic is same whether you are getting Rs. 100000/- per day. Audit yourself and carve this simple logic to your brain that your salary or any other income will not make you well heeled until you have power on your expenditures. On wrapping up this article, wish to have few words to the youngsters including teenagers. Try to start this wonderful business at the earliest. 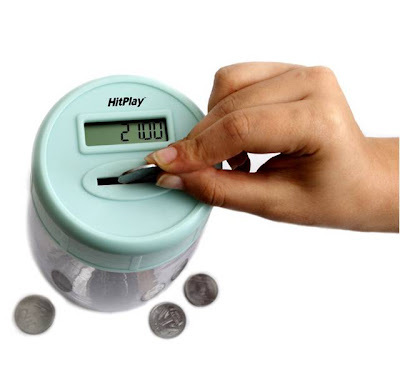 Try to spare a coin or currency of 1, 2, 5,10,20,50,100, 500 or 1000 frequently towards the account of the said business. Generally, youngsters wind up overspending on small stuffs like Tea, Coffee, snacks, Mobile phones, soft drinks, cigarettes, beverages, foods, tips, gifts, partying, romance etc.. These does not seems expensive at the times, but add up to a considerable amount over long run. I never suggest stopping all these, because these are the zest of the time and age. You have to practice every flavors of the seasons of life. But you can save a considerable amount by reducing all these because these stuffs are not comes under the category of life saving medicines. This money can be better used up on your above said business which might have changed your life for ever. Such an effortless caution may protect you from working till the age of 55-60 for a living with thicker goggles. You can implement few firm decisions now, as everyone realizes the value of money after it surpassed. In most of the cases, whatever the money you are getting now is much more than your current needs, don’t be panic to drain it out before the next salary date. It will not bite if you keep idle for few days rather it will comfort you in the long run. I have placed a link below; one of my initial posts may help you on the way of savings in day-to-day life. Before concluding this post, I wish to review a wonderful chat session with a guy who is in my friend circle. He started investing a few years back and was talking on his future plans. He is working with a private firm and if my memory is correct he is at his 35-36. He wish to retire by the age of 45. He is planning not to work after 45 for a living. He is setting up his investment for the next 10 years and counting down the days. I asked, what will you do after that age? Will you stay idle? He said, “I wish to live full of life what all I missed till the time, wish to live peacefully with family and kids with out burden of job and all. Wish to engage in all favorite hobbies pending by years that couldn't fulfilled yet. He wish to spare more time for his kids, family etc.. Wish to indulge in his unfinished crazes like gardening, agriculture, farming, cooking etc... etc.. What a great thinking. I wish all the best to him and I know…He will! Do you accept this equity investment as the most effortless business in the world? I do! I don’t think buffet said it as casual, It seems this quote holds the support of his experience gathered by decades.